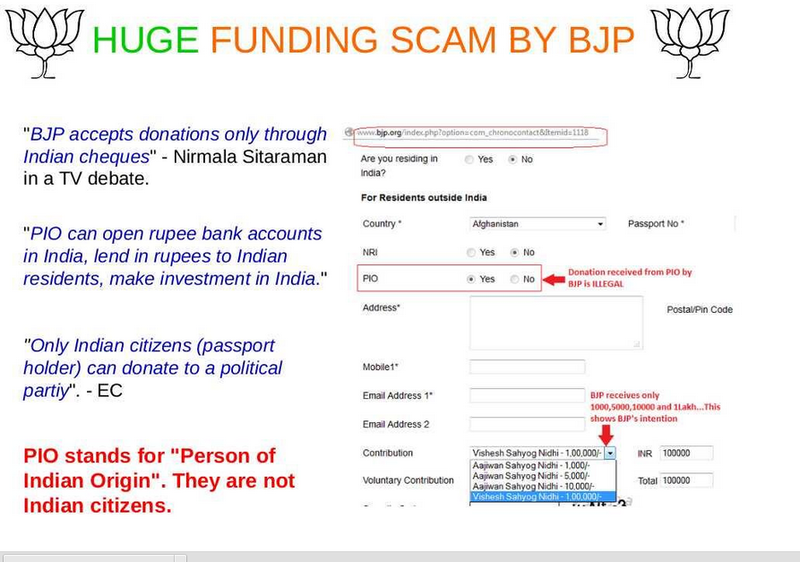 BJP appears to be illegally soliciting foreign funding from People of Indian Origin (who are not Indian citizens). 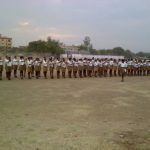 BJP is not unaware of the distinction between non-resident Indians (who are Indian citizens staying abroad) and people of Indian origin (who are foreign citizens with links to India who can register for easier visas to visit and so on), since many of them had made spirited arguments related with the Nationality of Raghuram Rajan when he became the governor of Reserve Bank of India. 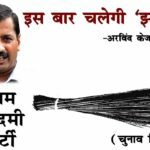 When Home Minister Sushilkumar Shinde announced an investigation into Aam Aadmi Party’s funding, it was mostly a lark with a lot of accusations flying, but Aam Aadmi Party hardly having a problem defending against accusations from parties with most of their funding unaccounted and both Congress and BJP receiving foreign funding from organizations like Vedanta and DOW Chemicals AND government organizations on record in a PIL based on excellent research filed by Association of Democratic Reforms. 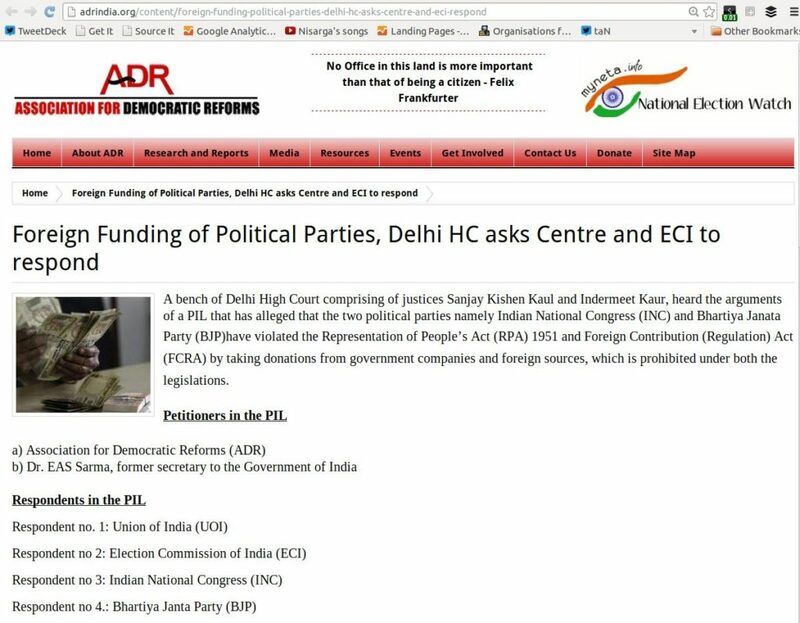 BJP and Congress have accepted funds from foreign companies in violation of the FCRA. Ridiculous reached new heights when Meenakshi Lekhi insinuated that Aam Aadmi Party may be receiving terrorist funding and one thing led to another and it turns out that BJP not only solicits funds from foreign citizens, it also does not declare the vast majority of its funding. Whether terrorist or not is another question, but it is a blatant flaunting of our laws and should be investigated. And this has been going on for years. 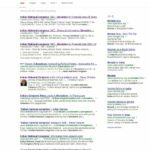 I checked the Wayback machine archive, and the BJP donation page accepting illegal donations has been archived for the last two years at least and all the versions accept money from People of Indian Origin. 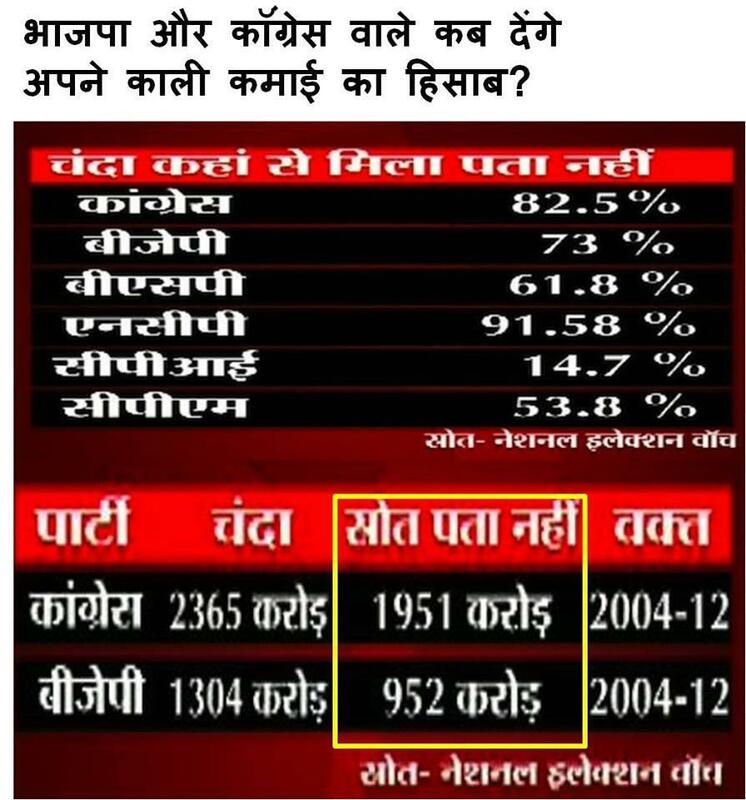 Here is a version of BJP’s Donation page from June 2011. 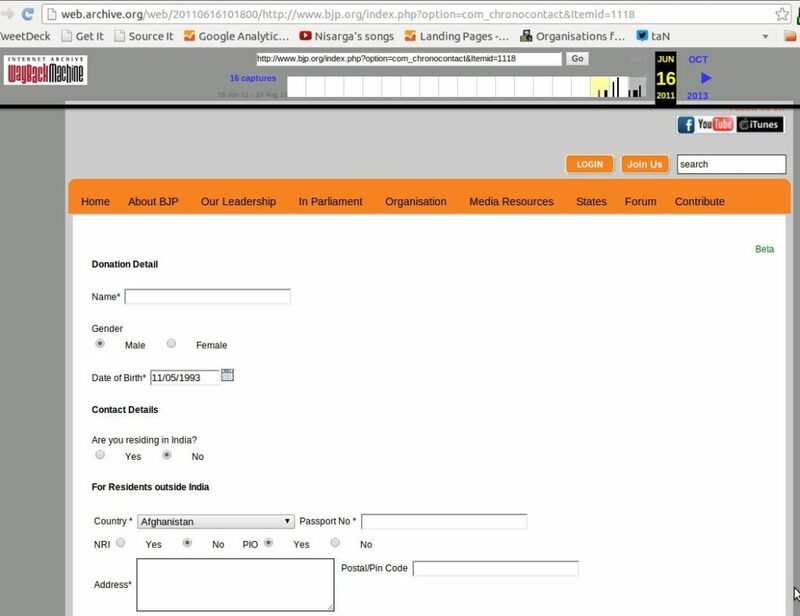 BJP’s donation page archived from June 2011 also accepts payments from people of Indian origins. As you can clearly see, you can be an Afghan National and still provide your passport number and donate – I have not chosen “Afghanistan” – all the options here are the default options from the page. I think it is a poetic irony that the party that accused another of being funded by terrorists, though their funding is completely transparent, can indeed be funded by terrorists. 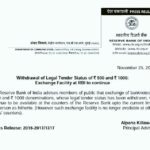 It accepts the money, it does not disclose most of its funds. Do the math. And lastly, while the Aam Aadmi Party transparently declares any and all donations it receives, this is not the case with other political parties, most of whom have the vast majority of their funding shrouded as “unaccountable”. They are also fighting to prevent citizens from trying to find out by filing RTIs with them. Images from @kapsology (on Twitter) – the nice ones with red markings pointing out the problem. Screenshot images from me.